Pile in a single column the 1,000,000 pennies will make a column 5, 000 feet high. 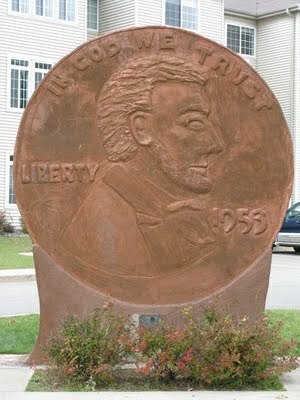 Place side-by-side the pennies would produce a ribbon of copper for 11.84 miles. If 10 pennies weigh 1.107 ounces, the 1,000,000 of them will weigh 6918.75 pounds or 3.459 tons. 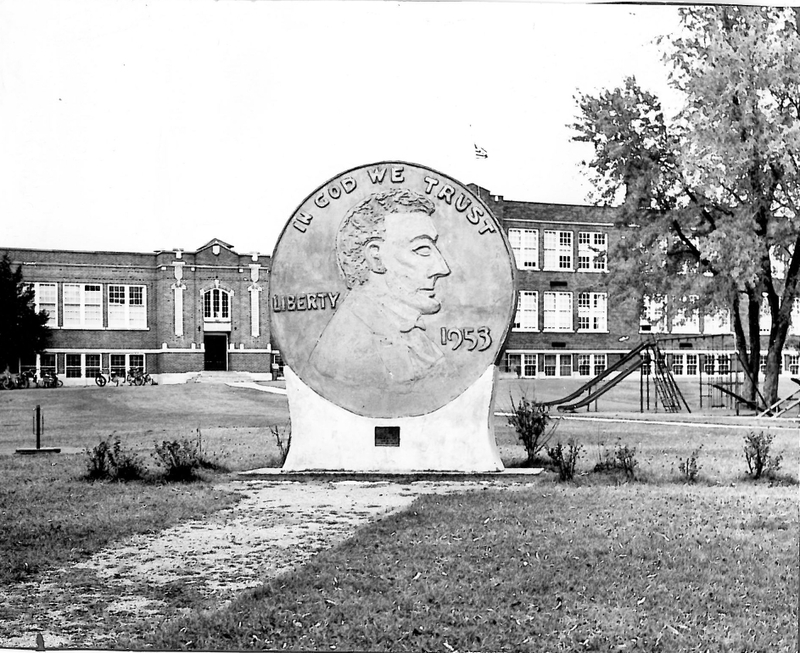 1,000,000 pennies placed side-by-side will cover an area of 3906.24 square feet. In a solid mass the 1,000, 000 pennies would be equivalent to 2.212 cubic yards, which means that a 2 yard dump truck would not be able to haul them. Coinage of the present bronze cent (derived from the Latin centum “hundred”) consisting of 95% copper and 5% tin and zinc, began in 1864, and continued with the Indian head until 1909 when the bust of Lincoln was placed on the cent and contuse to date. 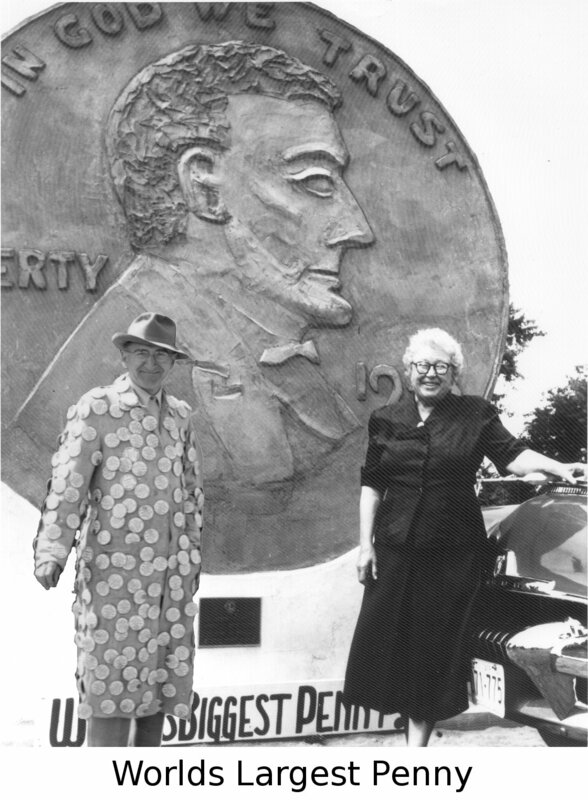 Between the dates 1909 to 1951 inclusive 18, 279,679,954 pennies were coined in the United States. The million pennies of the Penny Parade is .00547 of the total amount minted or .547%.